Look at the crowd behind them---reminds of the windows of those morning television shows. TV Show ?? 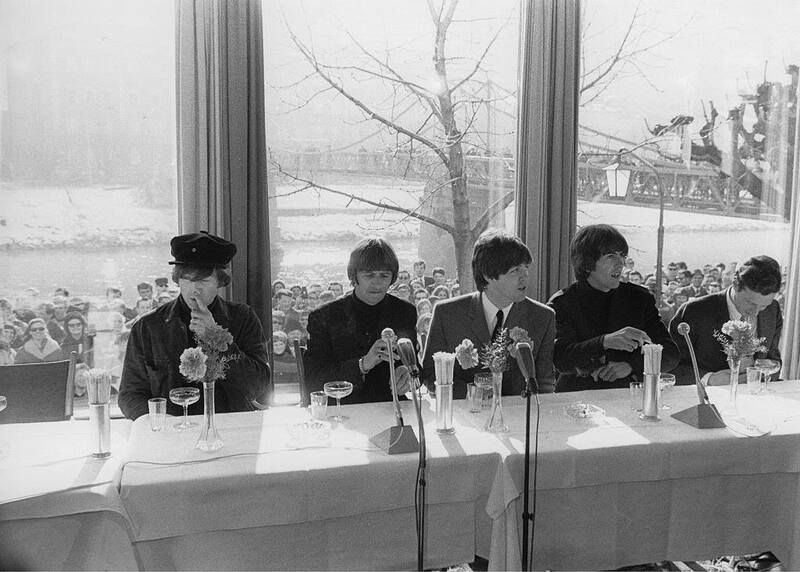 it was a Interview for Radio Station March 3rd Österreichischer Hof in Salzburg. I believe Sara is talking about the current morning television shows, where you can see the street/people behind the hosts.